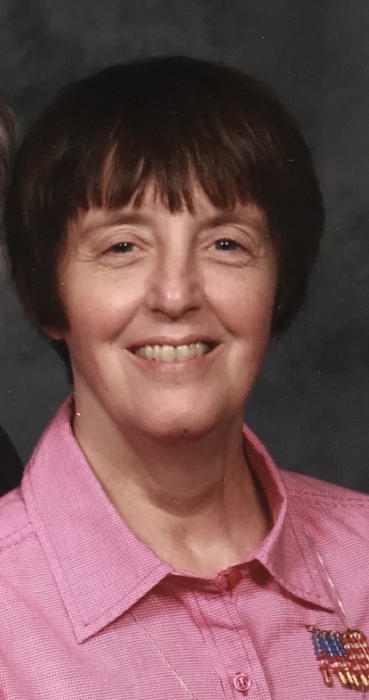 Kathleen D. Rogers, age 69, of Bloomfield, passed away peacefully at 4:28 am on Thursday, January 31, 2019, at IU Health Hospice House in Bloomington. She was born in Canton, Ohio on March 17, 1949, the daughter of the late R. Keith Ash & Freda May (Hesslink) Ash. She was a 1967 graduate of Canton Lincoln High School in Canton, Ohio. She received her LPN from Timpken Mercy Hospital School of Nursing before going into the United States Air Force. She was a veteran of the United States Air Force for over 9 years. In 1989 she graduated from Ivy Tech with her Building Construction Associates Degree. After her military career she worked as a secretary for the Appellate Court Judge in Bloomington for many years and retired from that position. Kathleen is survived by her loving husband of 39 years, Waitis "Lucky" Rogers of Bloomfield; children, Waitis "Lee" Rogers IV of Bloomington, Jeffrey (Jessica) Rogers of Bloomfield, Wendi Rogers of Bloomfield and Jerrica (Christopher) Klinger of Bloomfield; grandchildren, Jaden Arthurs, Isabella Rogers, Logan Rogers and Ainsley Klinger; brothers, Ronald (Mary) Ash of Glouster, OH and Gregory (Lynn) Ash of Charlotte, NC. A Celebration of Life will be held at Antioch Christian Church in Bloomfield at 2:00 pm on Saturday, February 2, 2019, with Pastor Jack Tolbert officiating. Memorial visitation will be held at the church on Saturday from 1:00 until the time of service. In lieu of flowers memorial contributions may be made to Antioch Christian Church. Arrangements have been entrusted to Welch & Cornett Funeral Home in Worthington.